Around 12 million people in India have no proper cooking arrangements. The situation is worse in urban India where around seven per cent of households lack cooking arrangements while in rural India over one per cent of households is deprived of the facility. The facts were revealed by the National Sample Survey Organisation (NSSO) report based on the 68th round of survey. Maharashtra (3.8 per cent) and Andhra Pradesh (2.7 per cent) are the top two states which reported “no cooking arrangement”, the survey says. According to the report, the situation has worsened over the years. It says that 0.7 per cent of rural households lacked any cooking facility in 1993-94 which touched 1.3 per cent in 2012. Similar is the situation in urban India where 6.3 per cent households did not have cooking arrangements around 20 years ago, but now the figure has reached 6.9 per cent. In urban areas, the highest proportion of households lacking cooking facility were seen in Karnataka (13.9 per cent), Tamil Nadu (9.2 per cent) and Andhra Pradesh (9.1 per cent), according to the report. The report highlights that the most common cooking fuel used in urban areas is liquified petroleum gas (68 per cent) while in rural India most households are dependent on firewood. Chhattisgarh tops the list with 93.2 per cent of households using firewood for cooking. It is followed by Rajasthan (89.3 per cent) and Odisha (87.0 per cent). 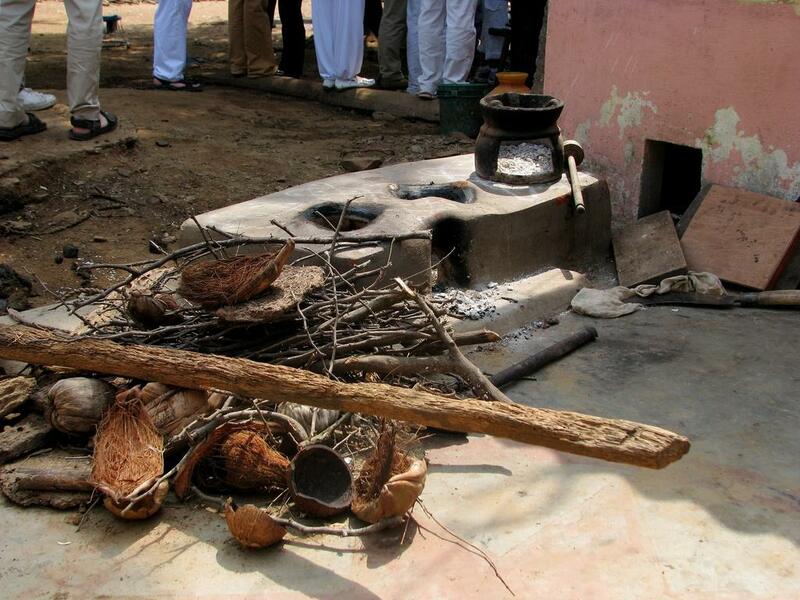 At the all-India level, firewood is followed by LPG which is used by 15.0 per cent of households. Around 9.6 per cent and 1.1 per cent of rural households use dung cake and coke and coal respectively as primary sources of cooking. Around 4.9 per cent of households use other sources such as gobar gas, charcoal and electricity for cooking. Nearly 40 per cent of urban households use LPG as the principal fuel for cooking in all major states. It is the highest in Haryana (86.5 per cent households), followed by Andhra Pradesh (77.3 per cent) and Punjab (75.4 per cent). It is the lowest in Chhattisgarh (39.8 per cent). Compared to rural areas, use of kerosene as the primary source of energy for cooking is more prevalent in urban areas, especially in Gujarat (10.5 per cent), Maharashtra (10.1 per cent) and Punjab (10.0 per cent). A Box type solar cooker with frying provision is the need of the hour.